Lupe Voss's enthusiasm and unparalleled technical abilities are responsible for her successful rise as one of the most desirable color educators. As an educator, mentor and training consultant, Lupe’s reputation for excellence spans the globe. She has played a key role in the creation of Aveda Collections—which set hair cut and color trends for the season. In addition, Lupe also owns the successful Salon - Julian August and is responsible for creating the Hair Color Magic educational program, which teaches creative placement and the art of formulation for customized color. Lupe is known for her technical acumen and "real-life" classroom style. She has a passion for learning and a heartfelt desire to make learning fun. Charlie inspires, entertains and educates hairstylists around the globe - sharing useful, practical and creative techniques for the salon, runway and photo studio- all in his witty, brutally honest and irreverent way. He has won many industry awards including International Hairstylist of the Year and is a 2 time North American Hairstylist Of The Year winner. 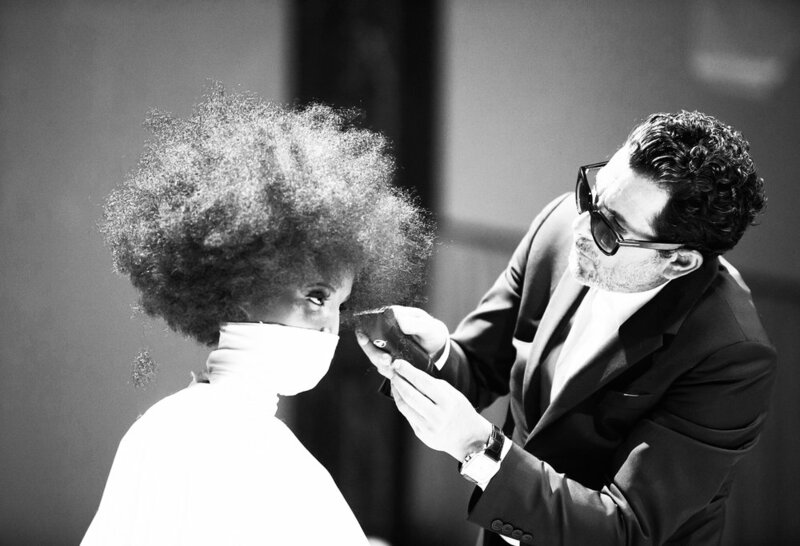 He has worked as lead hairstylist backstage at NYFW since 1998 and has appeared on the television series Ambush Makeover, Global Beauty Masters and Shear Geniu. Recognized for his exceptional cutting skills and lightness of touch, Peter Gray is among the worldʼs foremost hair stylists. He rose to prominence at the end of the 1990s through innovative photographic partnerships with experimental fashion photographers that established Gray as a leading force in the field of creative hair. As well as a busy and progressive practitioner, Gray is also a key proponent of environmental sustainability. Gray is a prolific and imaginative image-maker, contributing to editorial shoots for a range of luxury and style titles including Italian, American and British Vogue, Harperʼs Bazaar. The informality and quiet conceptualism of his styling has earned him advertising campaigns for brands including Armani, Yves Saint Laurent, Givenchy, Lanvin and he has created statement runway looks for prestige fashion houses Hermès, Ungaro and Paul Smith as well as cult labels Dsquared, Junya Watanabe and Maison Martin Margiela. DJ started his career in 1994, he quickly became on of Vidal Sassoon sought after teachers. Known for creating hair cutting systems and curriculum’s, becoming a global platform artist sharing his knowledge and skill to a worldwide audience, and producing video’s and ‘step by step’ education. DJ is one the world’s most sought after teachers in the industry because of his no fluff approach and his ability to breakdown the what, why, how, and when in haircutting. He believes that ‘Knowledge Destroys Fear’ and he is proud to represent the hairdresser as an independent artist. Geno has excelled at redefining the perceptions of hairstyling and creates hairstyles that are both dynamic and versatile. His personality invites his clients to be a part of the fun and creativity of hairstyling while maintaining a great attention to detail. His work can be viewed on the Style Network’s ‘How Do I Look’ and Stucks television series. He practices his craft in Beverly Hills on some of Hollywood’s elite. Geno teaches advanced haircutting and styling techniques to the Aveda Network and inspires hairdressers to continually work on perfecting their craft. Geno has finished a men’s haircutting video for Subject+Design as well as multiple haircutting DVD series for the company of INSPIRE CREATIVE AGE to help other hairdressers with their education. He has toured Asia, Europe, Canada and the U.S. to promote how important advanced education is to build a sustainable career. CLICK BELOW TO SUBMIT YOUR WORK.